A play about a version of the future where Britain receives aid from Africa will be performed at City, University of London. 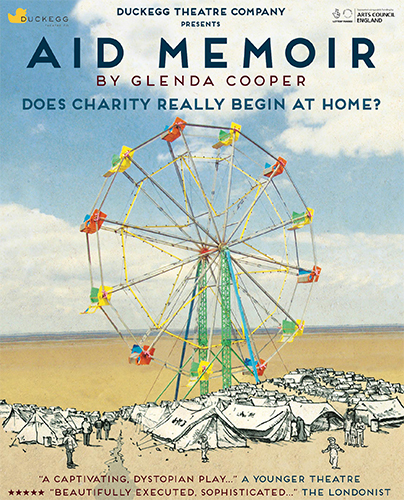 The performance of Aid Memoir, which was written by City journalism lecturer Dr Glenda Cooper, will take place on Tuesday 6th November, from 6.30pm. Following the play, there will be a panel discussion with researchers from the university, journalists and aid agency representatives. The event, which is titled Playing With The Way We See Refugees, is open to the public and free to attend. Dr Cooper said: “The point of the play is not to excoriate aid workers or journalists – most of whom do their best when covering these stories – but to challenge us, the public about our attitudes to aid. “The fact remains that we give more money to disasters that are easy to understand, have a well-known celebrity or a photogenic picture – too easily dismiss who we think is unworthy. Aid Memoir is set in a devastated country, with worsening food shortages and aid workers flying in alongside celebrities, who are shedding tears in refugee camps. Dr Cooper uses this image, which the British public might recognise from television programmes about humanitarian disasters in Africa, to portray a version of the future for the United Kingdom in which the international roles of countries are reversed. 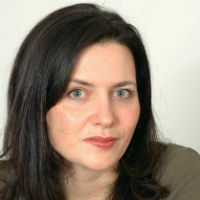 Drawing from her own research into the reporting of humanitarian disasters, and current work being done by researchers at City, the academic explores the experiences of asylum seekers and refugees with the aim of making the audience think about their preconceptions about who the UK should give aid to, and what British people think of those forced to leave their homes. The City lecturer discusses her play and research in an article for the website of the Department of Journalism's research centre, the Humanitarian News Research Network. 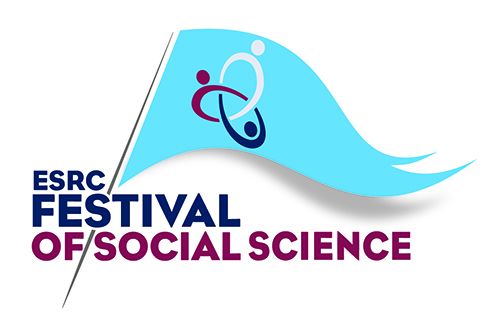 The City event is part of the Economic and Social Research Council (ESRC)'s nationwide Festival of Social Science. The ESRC is part of UK research and Innovation, a new body which works in partnership with universities, research organisations, businesses, charities, and government to create the best possible environment for research and innovation to flourish. It aims to maximise the contribution of each of our component parts, working individually and collectively. The ESRC works with our many partners to benefit everyone through knowledge, talent and ideas.